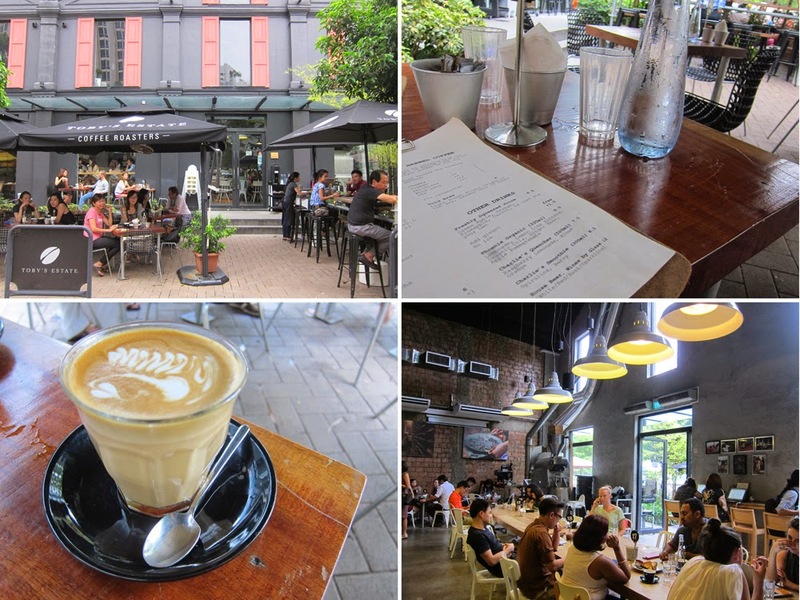 Singapore is known for it’s food, not it’s coffee, but it comes as no surprise that the city has some great cafes. I didn’t have long to sample all of the great cafes in Singapore, so I had to choose wisely. This chain originates in Australia, but it’s flagship store in Singapore is world-famous. Located alongside the beautiful Singapore River, this café offers indoor and outdoor seating, delicious coffee, exquisites cakes, and a full menu of food. The only downsides are that this places gets busy, so it can be awkward if you sit there on your laptop of too long. Also, the is no counter service, you have a waiter or waitress. They are laid back, but I usually feel uncomfortable making a waiter go through all the trouble just to serve two coffees. A hop away from Toby’s Estate is my most beloved place in the city. An obvious haven for college students and young artists, The Book Café is open until midnight, with an extensive book and magazine collection and a living room atmosphere. Of all the cafes I had been to thus far on my trip through Indonesia and Singapore, this is the first one where I felt comfortable enough to write.